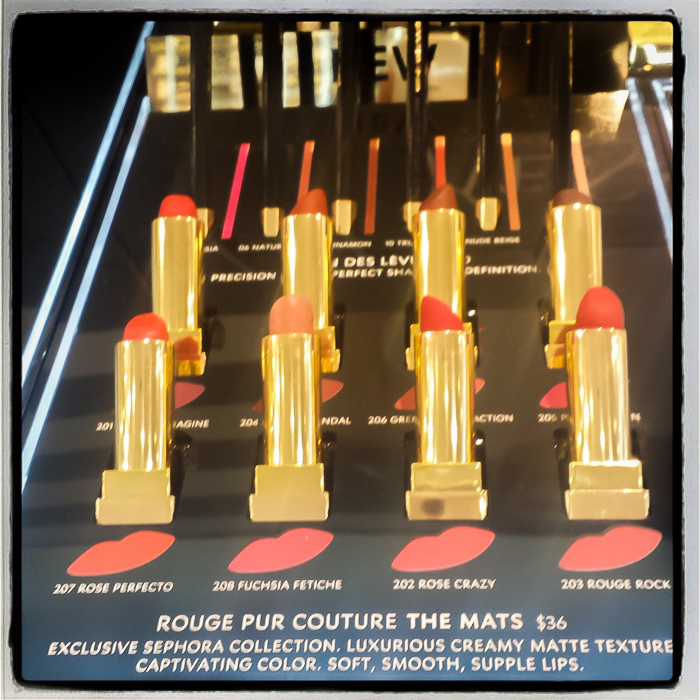 In my very biased opinion, of course the YSL Rouge Pur Couture The Mats lipsticks are a must-have. The lipsticks feel creamy and smooth and while labelled as matte lipsticks, these do have a bit of a softer, slightly creamier feel to them which makes them seem a lot more lip-friendly than the drier pure matte lipsticks. Richly pigmented, these lipsticks deliver bold color with a single swipe and are perfect for those who like to wear bright, bold colors but prefer a lightweight feel on the lips. 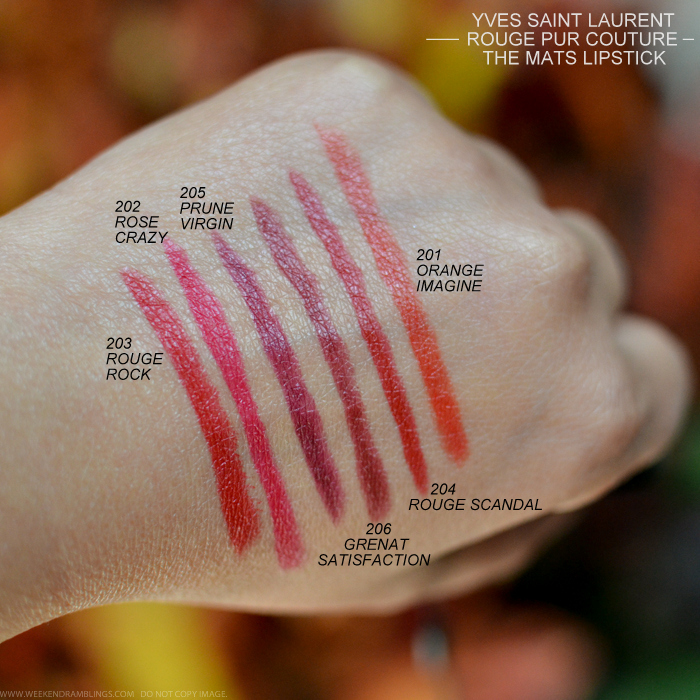 I am a neutrals girl at heart, though, and tend to stay clear of darker plums and reds, so most of these colors in the YSL Mats range are a bit intimidating to me. They are definitely the perfect colors for fall,, though, and if you love reds and dark rich burgundy shades, then do give these YSL lipsticks a try.